Hank the Cowdog has a busy life from fending off coyotes from his ranch, disturbing the cat, and keeping his owners pleased. 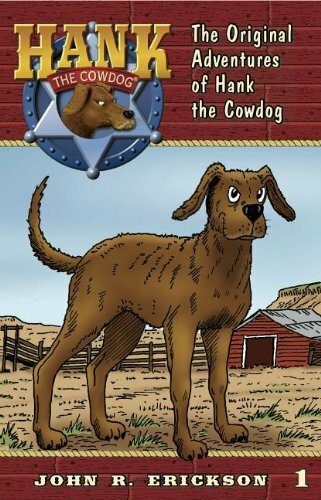 The first Hank the Cowdog book introduces the reader to Hank and his eventful life on the ranch. The book creates a goofy picture of ranch life. The book is for 8 to 12 year olds, but the animals and humans both swear: gosh, golly, darn, heck and a few others. This book also contains some crude humor and cowboys call the Hank and Drover some names. I do really like these book, but I do caution parents before letting their kids read them.